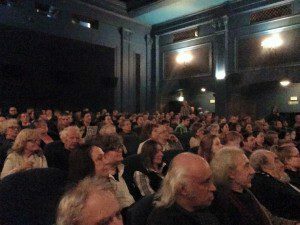 We are thrilled to announce that the documentary Karski and the Lords of Humanity was not only completed but was picked up for the theatrical distribution by one of the most respected Polish distributors and a major force in Polish cinema: “Kino Swiat”. 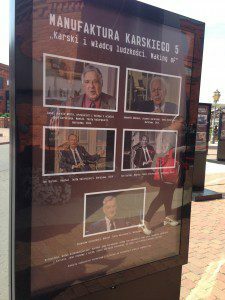 The theatrical premiere of our film Karski and the Lords of Humanity” (Karski i wladzcy ludzkosci) took place in Poland on April 24, 2015 (Jan Karski’s 101st birthday), and the film will open at 15 theaters all over the country. Not bad for any documentary! Latest News from May 2015! I am happy to let you know that due to the unusual interest in “Karski & The Lords of Humanity”, “Kino Swiat” a major film distribution force in Polish cinema, which originally opened our film at 15 theaters, then in 26 theaters, today shows the movie in 49 theaters around the country. The film tells the story of Jan Karski, the Polish underground courier who traveled across occupied Europe to inform the Allied powers of Nazi crimes against the Jews of Europe in an effort to prevent the Holocaust. This labor of love project, which took seven years to complete, got further great news: Official patronage from the Polish Ministry of National Education. 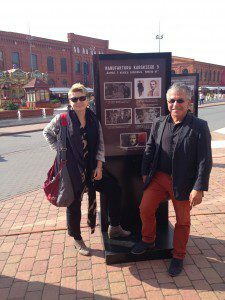 What it practically means is that the film you have supported will become part of Holocaust education in schools in Poland. 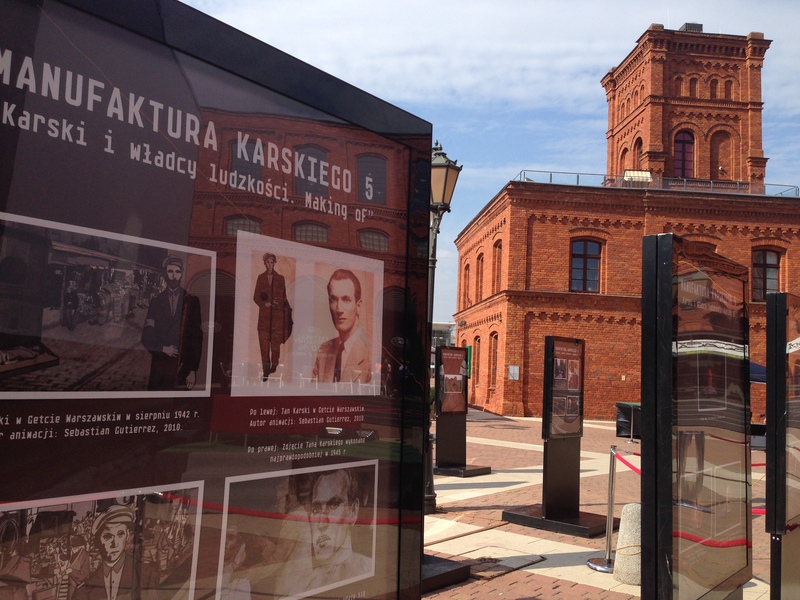 According to “Kino Swiat,” the film will reach 6,000 schools in Poland — in other words, thousands of Polish students will be introduced to Jan Karski’s story through our feature-length partially animated documentary. Details of the U.S. theatrical premiere of the film will be announced as soon as possible. 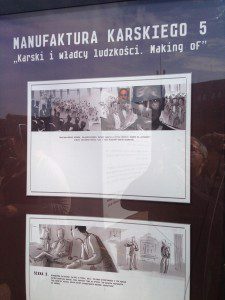 “Karski & The Lords of Humanity” produced by: LOGTV, Ltd and Apple Film Production, received financial support from the Polish National Centre for Culture, National Audiovisual Institute, Polish Television, TvIndie Film and Foundation “Past & Present”. 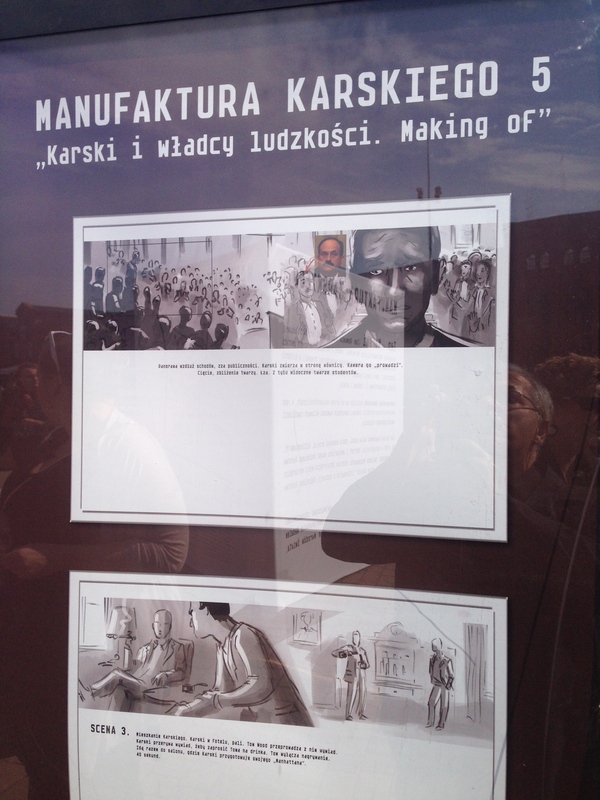 An exhibition of making of “Karski & The Lords of Humanity” including storyboards, early drawings and screenshots accompanied the Special Screening of the selected segments from this movie took place at Manufaktura, Lodz, Poland on September 19, 2014.